It is a objective type multiple choice test consisting of total 200 marks. Each correct answer receives +4 score and in case of an incorrect answer, negative marking is implied which will result in -1 score while the unattempted questions get 0 marks. 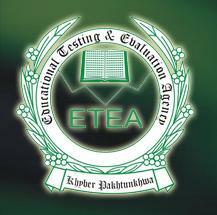 Each year, ETEA starts the registration process for the engineering entry test in the month of June while the test is conducted during the month of August. As it is compulsory for all the individuals to pass the ETEA engineering entry test in order to become eligible for admission in educational institutes who have imposed the condition of passing the test, so every applicant must prepare for it in best possible way by utilizing all available sources. To help our visitors in this case, we have provided tons of free online tests on our website through which you can prepare for the Educational Testing & Evaluation Agency (ETEA) engineering entry test with ease and convenience. All you have to do is to attempt these free online tests in order to evaluate as well as improve your current level of preparation. Our tests include all the important questions that have really high amount of chances for being included in the actual exam. This is undoubtedly the most easy, quick and effective source of preparing for the KPK ETEA engineering entry test preparation.